I have been busy, busy, busy! The holiday season is here, and I do hope you all had a wonderful Thanksgiving! Work has been crazy, making wreaths, porch pots, baskets, and all sorts of Christmas evergreen decorations every day til I come home covered in pine sap. I have been working on my apocalyptic future fantasy book, more sporadically than I ought to be, but I am still writing. I still haven’t had many reviews or heard a lot of feedback about Fuzzy Business 3, so I thought as a Christmas gift to you (for Small Business Saturday) I would run a FREE PROMOTION! Saturday, November 26th through Monday, November 28th, ALL THREE of my Fuzzy Business books will be a FREE Kindle download! 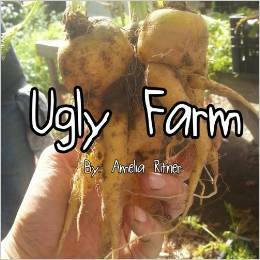 You can find links to all three books to the left of this page (if you are on a computer), or by scrolling to the bottom on your phone screen. As always, PLEASE write a review if you read one of my books! It really helps a lot, and also lets me know if you want me to write more! Thank you, and enjoy! 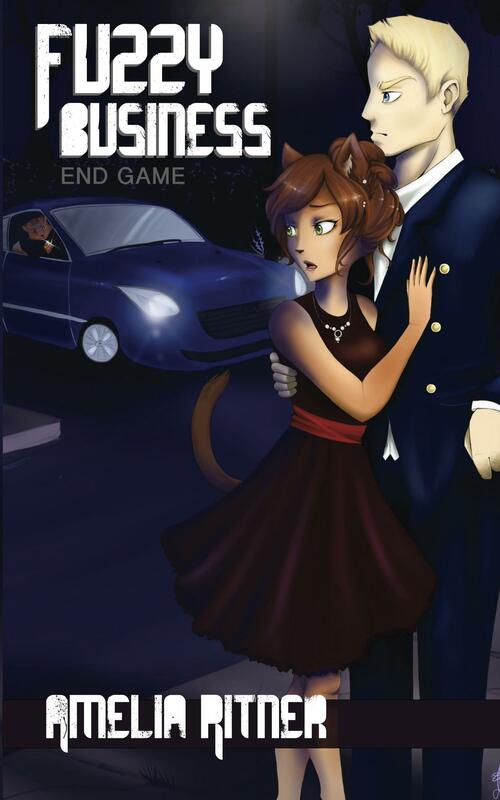 Once again, Fuzzy Business 3: End Game is going to be a FREE Kindle download from Friday, March 4th through Tuesday, March 8th. Tell your friends, or give a free gift copy! Have you read the third installment yet? What did you think? Win a Fuzzy Business Poster! This is a contest for fans of my Fuzzy Business book series. You can WIN a beautifully-printed 11″x 17″ poster of the first Fuzzy Business cover artwork, signed by me! All you need to do is like this blog post and COMMENT on it. Tell me which book is your favorite and why. That’s it! One winner will be chosen by Saturday, February 13th. Make sure I can contact you through your comment or profile in order to get your address to ship you the poster. And feel free to share this post with others so they can enter too! 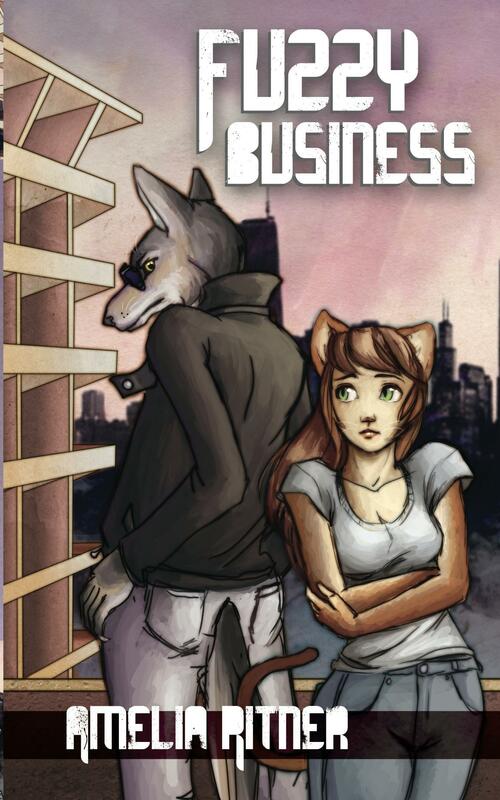 To download the Kindle version of Fuzzy Business 3: End Game TODAY through Saturday for FREE! If you “Like” my official Author page on Facebook, you’ll notice that I just began a giveaway for Fuzzy Business 2! Please find it and Share the photo to enter to win. I also just opened up a month long contest on Goodreads with ANOTHER book giveaway. Enter to win a copy, and I’ll sign it and ship it to you free of charge! Thanks for sharing, guys! Fuzzy Business 2: Fuzz Harder will be a FREE Kindle download from December 31st through January 4th! Please spread the word! On a side note, in case you missed my Facebook rant, I did finally fix the typo error on the back cover of the paperback version of the book. It drove me crazy to think I allowed so many to be printed with a silly typo! Just put me in accident jail for a week in your minds. Thank you to everyone who shared the link to the 5 day Free Run of Fuzzy Business. I really appreciate your help! Hopefully I’ll get some more reviews soon, as it seems the book was quite popular. At one point, my book was #14 out of the top 100 in the Kindle download Women Sleuth’s listing. How awesome is that?! The Kindle price is back up to $1.99 now, but that hasn’t stopped buyers before. Huzzah! Question for my readers: did YOU like the book? What ideas or situations would you like to see expanded in book two? Have a happy and fun time this Independence Day, everyone! How Do I Get Over The Hump?